Andy and Terry live in the world's best treehouse.... a 13-story treehouse with a bowling alley, a see-through swimming pool, a tank full of man-eating sharks, a secret underground laboratory, and a "marshmallow machine that shoots marshmallows into your mouth when it sees that you are hungry". 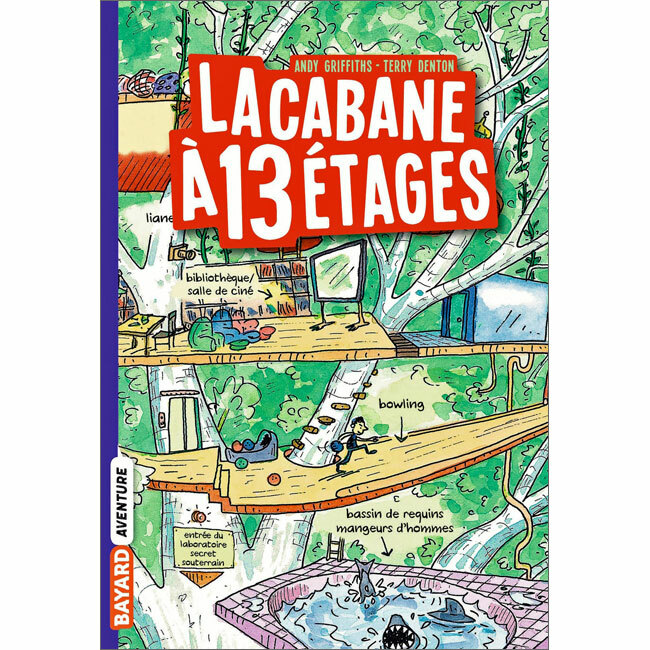 La cabane à 13 étages is written entirely in French as it is aimed at native French speakers. 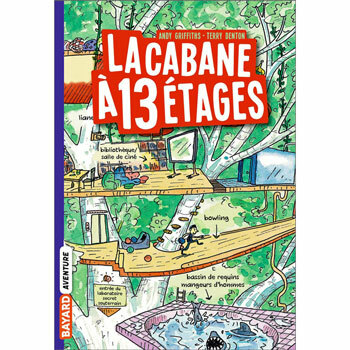 It would suit native French readers from age 7+.